Given the opportunity, raccoons will break into homes and leave a wake of destruction that is unmistakable, especially pregnant females. They rip into the attic by any means necessary and, once the momma raccoon feels she has found a safe harborage, she will give birth and refuse to leave that structure. 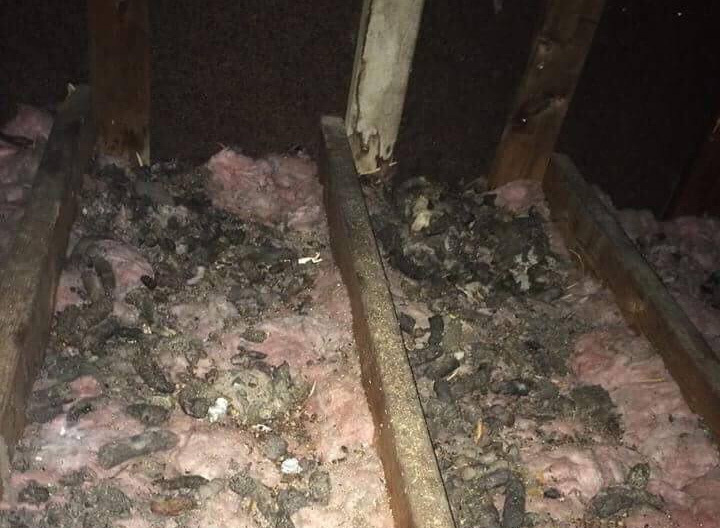 We've encountered homes where raccoons had been living in the attic for several years and resulted in thousands of dollars worth of damage repair for the homeowners. Don't let that happen to your home... Raccoon removal services must be done time-effectively to avoid serious damage, which is an area of specialty for Barnes Wildlife Control, LLC. We offer raccoon trapping programs unparalleled to in speed by our competition. Once we eradicate the raccoons from your Dayton residence, we can offer feces cleanup and attic decontamination. All in all, our service will yield a permanent solution to raccoon problems in Dayton, Ohio. Comprehensive Services & Permanent Solutions! 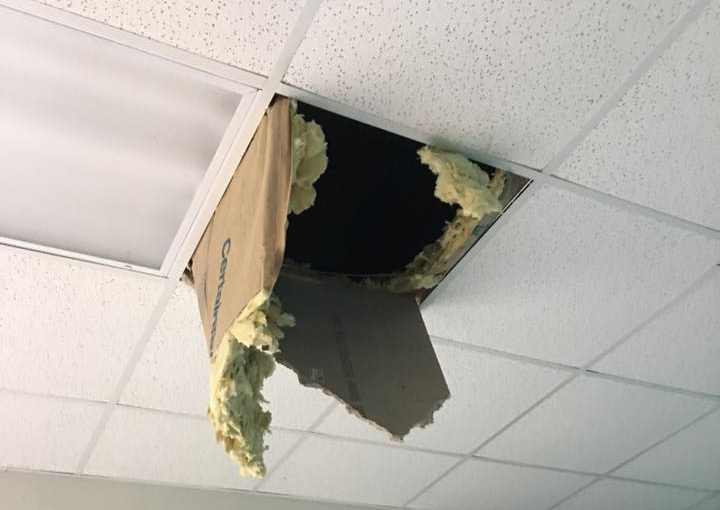 Raccoon damage repair can be a nasty and time-consuming job which involves not only cleaning, but tending to broken ducts, insulation damage, and exterior damage typical for raccoons. This is no job for an amateur. When raccoons are in your home, it becomes necessary to hire a well-respected business with years of experience (like us) to stop the damage from continuing. 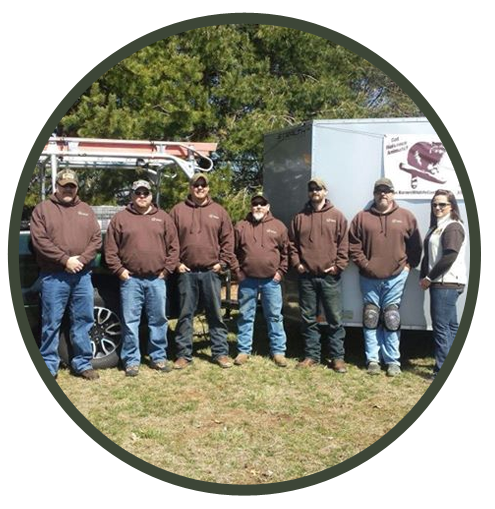 If you have a raccoon infestation and you live around Montgomery County, Ohio, then call Barnes Wildlife Control at (937) 606-3166 right now and take comfort in knowing you are being catered to by true professionals that care. Given the right conditions, raccoons will leave a wake of destruction that is unmistakeable. They will rip into your home's attic by any means necessary and, once pest raccoons feel as they are in a safe harborage, they will use it to cause even more damage. 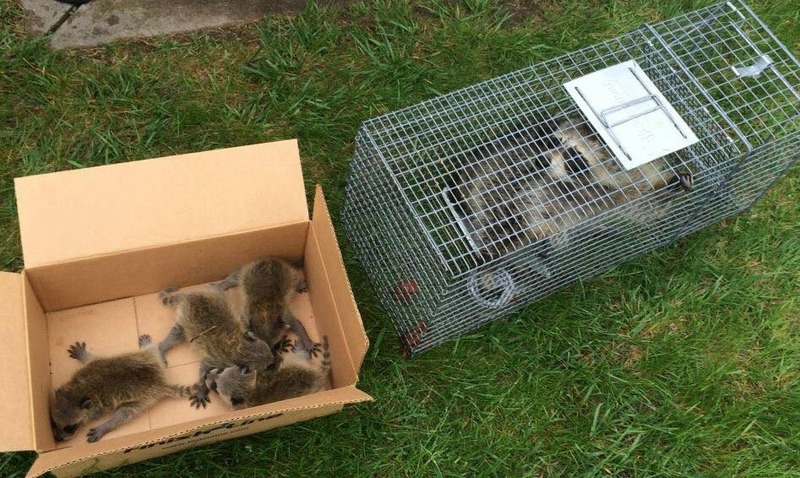 Dayton raccoon removal services must be done effectively, which is an area of specialty for Barnes Wildlife Control. Once the raccoons are removed from your attic space, the cleaning and repair process begins. Post-raccoon damage repair is a nasty job which involves not only cleaning, but tending to broken ducts, insulation damage, and even raccoon droppings cleanup. This is no job for a beginner, so it is necessary to hire a well-respected business with years of experience in situations with raccoons living in your Dayton home's attic. Most important is to remember that raccoon problems in Dayton will continue for as long as they are left alone, so be proactive in getting rid of them by calling the Dayton area’s leading raccoon removal pros. The BWC team can also provide preventative Dayton raccoon services by installing metal barriers over raccoon hot spots. If you even suspect that you have a raccoon infestation, call Barnes Wildlife Control at (937)-340-1867 right now and take comfort in knowing that you and your living quarters are being treated by true professionals. Don’t let these cute critters fool you… There are plenty of ways in which raccoons can cause damage to your living area(s). They will cause havoc in your attic and may leave you in need of a restoration job. Often times, raccoons will dig through your insulation and tear up the air ducts, roofing materials, and walls. Raccoons can virtually leave the whole place in shambles. Female raccoons are notoriously eager scavengers that will tear your house apart in search of a safe place to have their baby pup raccoons. It is also typical for invading raccoons to create waste areas or "bathrooms" which accumulate rapidly, posing health problems if not dealt with immediately. Barnes Wildlife Control carries the equipment necessary to offer raccoon waste cleanup in Dayton. Have An Injured, Sick, Or Dead Raccoon On Your Property? Raccoons are located all over the Dayton area, meaning they are going to cause a lot of problems given the nature of their behavior. Often times we get calls for dead, sick, or injured raccoons on a property. The sick and injured raccoons are the ones you really need to watch out for. These animals should not be approached by a homeowner because they tend to display unpredictable behavior. What we do is approach the raccoon slowly and capture it with a snare pole around the neck or body, followed by placing the raccoon in a trap for safe removal. It's unwise to let these sorts of weirdly behaving animals to stick around your property for too long, which some people will in hopes the animal will simply walk away. Children and dogs are at high risk of coming into contact out of curiosity, and many have paid a big price. Call Barnes Wildlife Control NOW for injured & sick raccoon pickup or dead raccoon removal off private property in Dayton. NOTE: We DO charge for this service. If the animal is on private property, the city will not come and it's left to businesses such as ours. A Mother & Baby Raccoons Captured & Removed From A Wall Void.